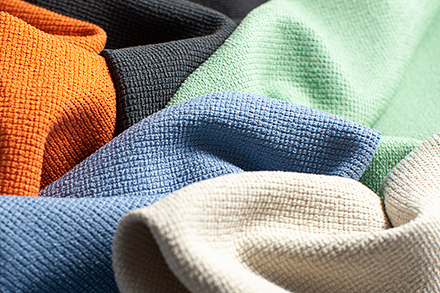 Over 8 years ago Momentum partnered with Unifi, the industry's leading recycled yarn supplier to develop Naked Nylon made with Repreve® yarns. 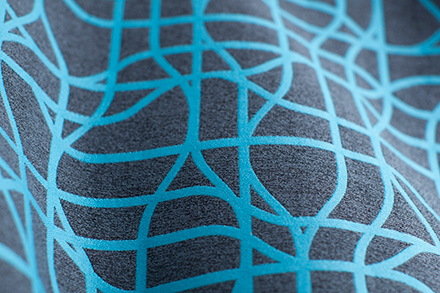 Momentum continued this partnership and developed Naked Poly, woven using Repreve® recycled polyester yarn produced from recycled water bottles. The construction of Naked Poly is so robust that it requires no topical finish and no backing to achieve world class, extreme performance. 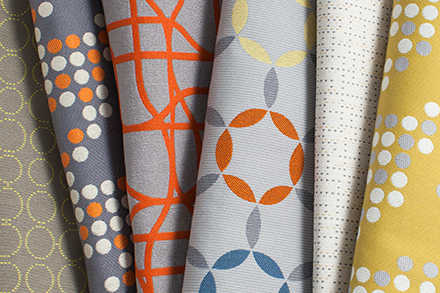 Precise and prismatic, Brink evokes Scandinavian design with crisp geometry and striking layered hues. 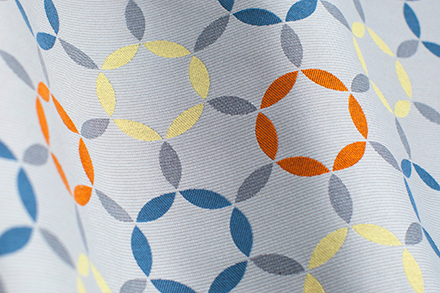 The Latin word for "peace", Pax features an expansive arrangement of circles balanced on horizontal pinstripes. 8 colors | 75,000 D.R. 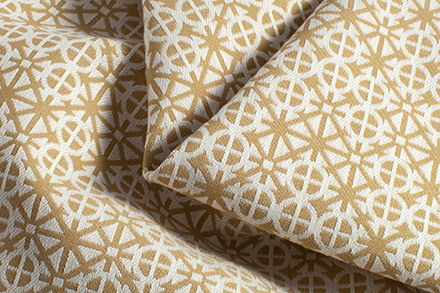 With a mix of shiny and matte yarns, a dense collection of small shapes blossom into a large-scale medallion. 8 colors | 102,000 D.R. This sumptuous texture tastefully combines a fuzzy chenille with a lustrous slub yarn in a small-scale check design. 15 colors | 102,000 D.R. 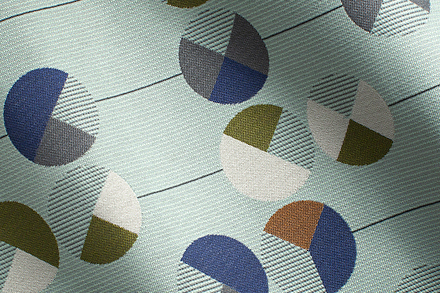 This modern geometric layout with shifting shapes offers a soothing all-over rhythm. 9 colors | 102,000 D.R. 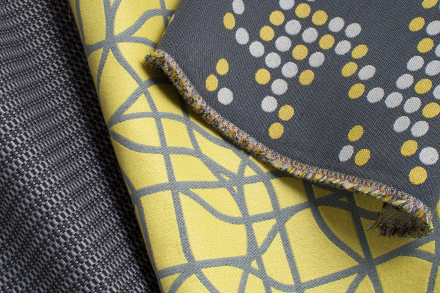 In a checkered weave structure this multicolored texture blends chenille, bouclé and slub yarns for a rich hand. 13 colors | 105,000 D.R. 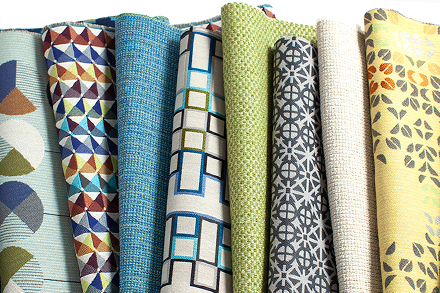 Simple rectangles stack into organized rows and perk up with randomly dispersed accent colors. Civil provides impeccable high-performance combined with an extremely soft and supple hand. 20 colors | 145,000 D.R. 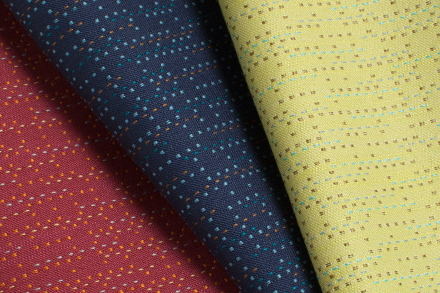 Bridging two categories as both a stripe and a small-scale allover pattern lateral offers a crisp, digitized look. 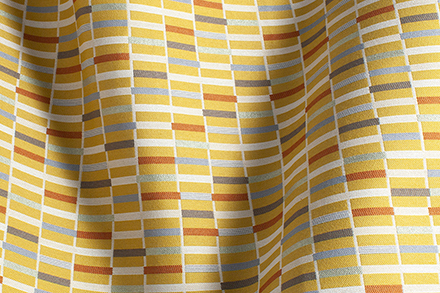 Designed to make a bold statement, Borders is both a mid-scale geometric pattern and a giant stripe. 9 colors | 105,000 D.R. The Pop Art dot technique made famous by Roy Lichtenstein is applied to a larger-than-life houndstooth. 8 colors | 51,000 D.R. 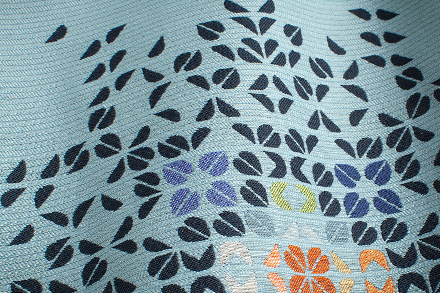 This is a statement pattern with a large repeating motif of propellers and scalloped rings. 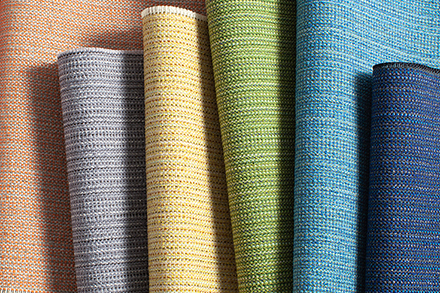 This beautiful texture is a super-performer and is available in nine equally versatile colorways. 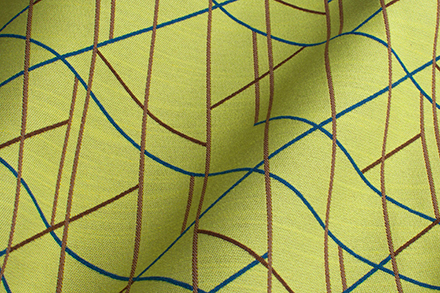 Serene and modern, this pattern charts paths and curves in bold color contrasting nicely with the crepe texture. 12 colors | 102,000 D.R. Like a laser lightshow, Tilt projects beams of color that meet and cross over the lush background surface. 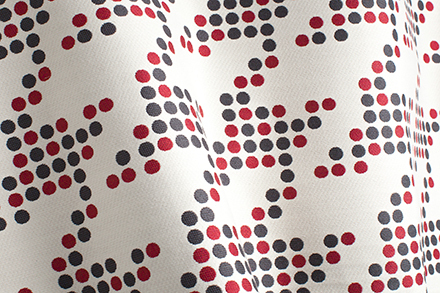 Like twinkling lights in an arcade, Stroll uses tiny dots of bright color to trace a pattern of rings. 12 colors | 60,000 D.R. 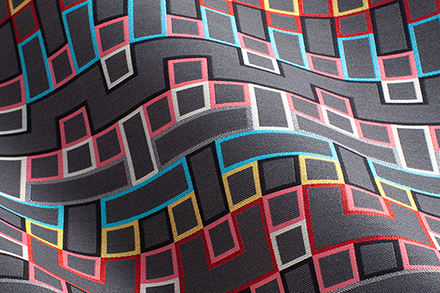 Inspired by the immortal arcade game Pac-Man, this pattern creates a fun and colorful maze of dashes and dots. 13 colors | 60,000 D.R.